Stamina PRO Ab/Hyper Bench Review | Is It Worth to Buy? 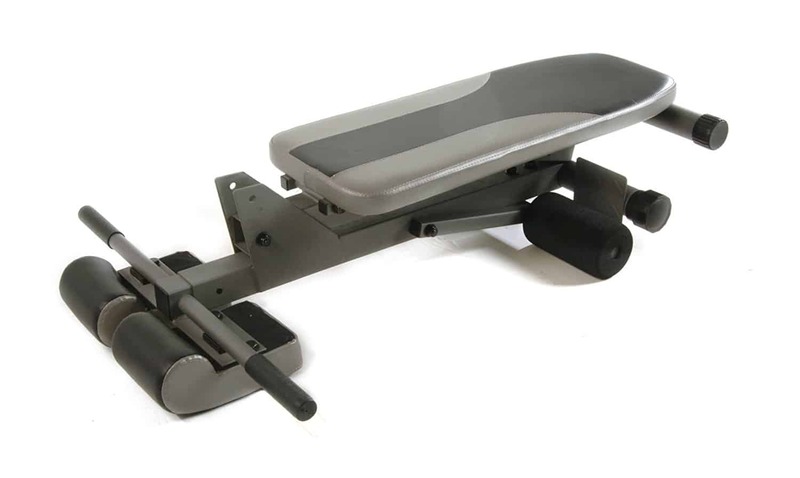 Customers like the Stamina PRO Ab/Hyper Bench because it is a 2 in 1 equipment. 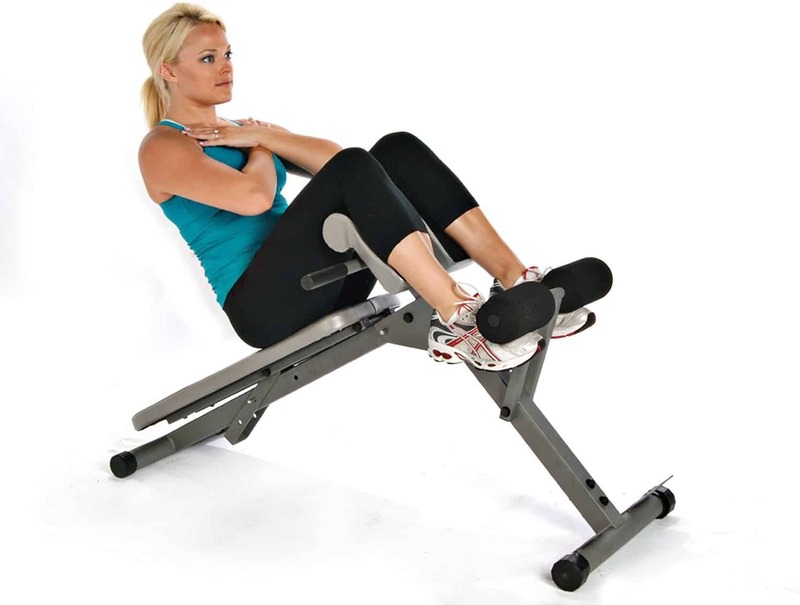 It can be used as an ab bench and 45-degree hyperextension bench. This way they can have a total core training at home. Plus, its price is more affordable compared to similar exercise equipment. The training experience it provides is not bad, but I say it is a middle-class bench, that is not suitable for everyone. Besides, there is a problem with safety. Too small for taller people. The safety pin that is used for fixing the pads is a bit loose. And, there are complaints about assembly as well. Hence, I recommend for those who are shorter and lighter. People who need a budget core training equipment for home. It is undoubtedly not for pro users. I believe it is suitable for women. Read more customer reviews about Stamina Hyper Bench Pro here. Thanks to the dual function you can strengthen each part of your core. Many trainees make the mistake that they focus only on their abs, and they neglect their lower back and spine. However, those muscles are an essential part of the core. For example, the weak lower back is one of the main reasons for back pain and injuries. With hyperextension bench exercises you can make those body parts healthy. Also, the sit-up function lets you maximize the outcome of your abdominal training. Thanks to the decline board you can add extra resistance to your sit up bench exercises such as crunches, oblique twists, etc. So, your abs and oblique become stronger and grow faster as if you were doing these exercises on the floor. 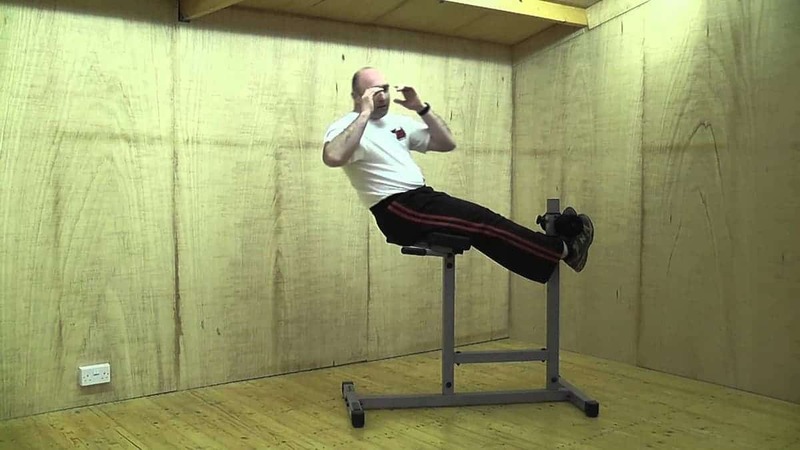 The ab board can be set into 3 positions from flat to incline. Thanks to the flat level you can use it as a flat weight bench so you can perform exercises like chest press or flyes. However, only use it with light weights as the weight capacity is not that much (250 lb.) The maximum decline angle is 30 degree which provides an acceptable resistance. It comes with adjustable thigh support so you can find the position which is the most comfortable for you while doing back hyperextensions. Compared to other Roman chairs, the Stamina ab bench is smaller. Hence, you do not need so much space to use. Also, it is folding so after your workout you can store it under your bed, or stand it up in the corner of your room. So, it might be a good option for people living in an apartment. The backrest is 28 inches long which is not so long, so taller people cannot use it comfortably. Plus, even if the pad of the back extension function is adjustable into three positions, the maximum height is too short for people over 6 feet. So, I recommend getting this equipment only if you are under 5.8 feet. In my opinion, this is the biggest problem. Not everyone but some customers complain about that safety pin is loose, and when they use the bench, they are afraid of that it slips out. So, some of them use a nut and bolt instead. I do not know why the manufacturer has not correct this considerable safety mistake yet. Putting together it does not have to be a difficult task, because its instructions are easy to follow. However, some customers experienced that the holes for bolts are poorly drilled. This way they have to “repair” the holes. The manufacturer claims that the maximum capacity is 250 lb, but it cannot stand that much. Heavy users do not feel it is safe enough. So, it is advised to use it with maximum 200 lb. Can I use it as a multi workout bench? Yes, but just with light weights (dumbbells). That is why I recommend it for women. But, it is not suitable for doing stepping exercises. Well, as you see, there are a few problems with Stamina PRO Ab/Hyper Bench, and it is without a doubt only suitable for average usage. In my opinion, it is a good choice for ladies. Do not buy it if you want to perform advanced workouts. 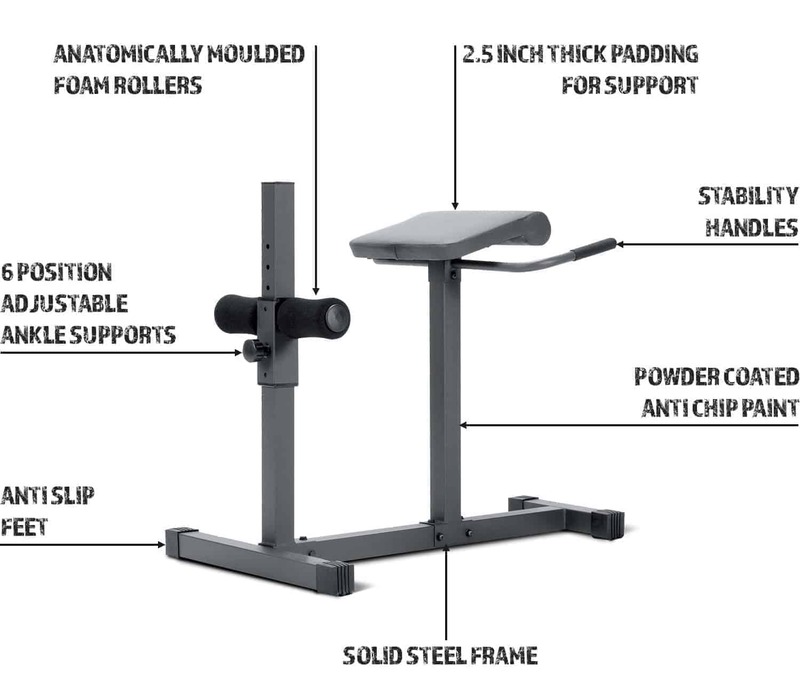 For that, I recommend the Fitness Reality bench which is a commercial multi-workout abdominal/hyper back extension bench. Did you find this Stamina hyper bench review useful? Share with your friends.